On 26 February 2016, the President of the UN General Assembly, H.E. Mr. Mogens Lykketoft, convened a Thematic Panel Discussion to mark the tenth anniversary of the adoption of the Responsibility to Protect (R2P) at the 2005 World Summit. 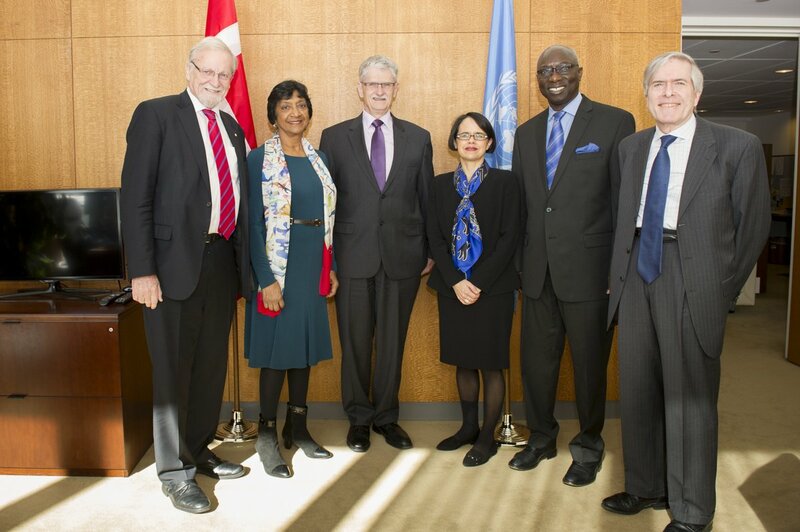 Mr. Lykketoft and the UN Deputy Secretary-General, H.E. Mr. Jan Eliasson, delivered opening remarks. 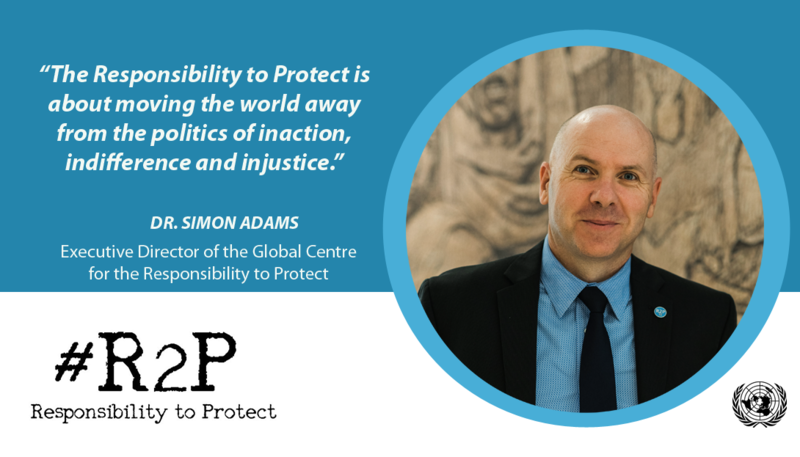 The distinguished panelists, all of whom have played a key role in the development and implementation of R2P over the past ten years, included: Professor the Hon. 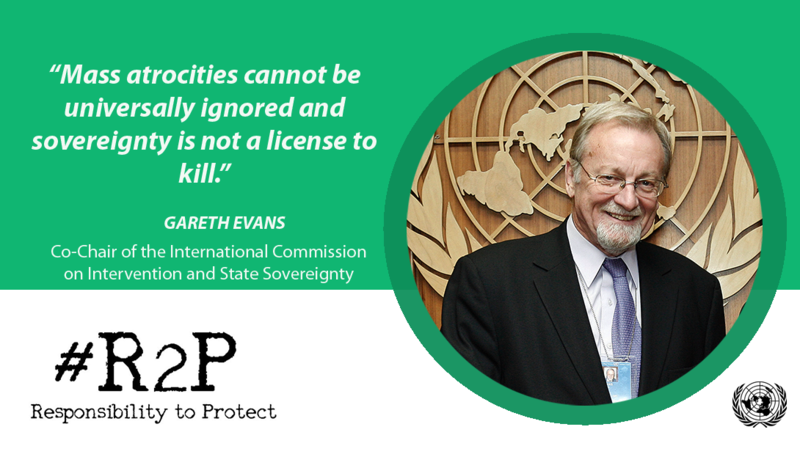 Gareth Evans, Co-Chair of the International Commission on Intervention and State Sovereignty and of the Advisory Board of the Global Centre for the Responsibility to Protect, Dr. Navi Pillay, former UN High Commissioner for Human Rights, Dr. Edward C. Luck, former UN Secretary-General's Special Adviser on R2P and member of the Advisory Board of the Global Centre, and Dr. Jennifer Welsh, UN Secretary-General's Special Adviser on R2P. The UN Secretary-General's Special Adviser on the Prevention of Genocide, Mr. Adama Dieng, moderated the interactive discussion. Over 100 member states attended the event to take stock of efforts to prevent genocide, war crimes, ethnic cleansing and crimes against humanity over the past ten years. The majority of statements emphasized the importance of prioritizing prevention by strengthening early warning systems and enhancing international coordination when responding to risks of potential mass atrocities. Among the attendees, 38 member states delivered statements while Rwanda spoke on behalf of the 50 members of the Group of Friends of R2P and the European Union spoke on behalf of its members as well as Turkey, the Former Yugoslav Republic of Macedonia, Albania and Georgia. Two civil society organizations also delivered statements: the Global Centre for the Responsibility to Protect and the International Coalition for the Responsibility to Protect. 1. European Union on behalf of EU member states, Turkey, former-Yugoslav Republic of Macedonia, Albania and Georgia. 14. Denmark on behalf of Nordic countries: Finland, Sweden, Iceland and Norway. Media Advisory: HL Thematic Panel Discussion: "Ten Years of R2P: From Commitment to Implementation"